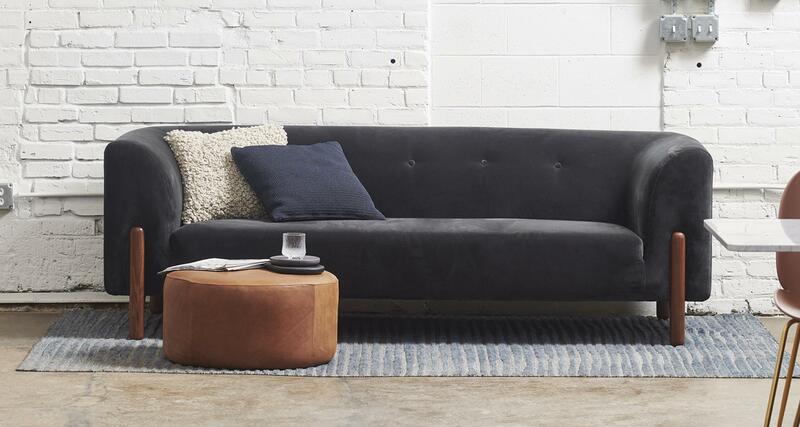 The Alma Sofa shows its traditional roots with a refreshed and modernized look. Soft, voluminous curves, velvet upholstery with a subtly button-tufted back and solid wood legs give a voice of reason and repose to Alma. Solid wood legs available in two finish options.